The early bird gets the worm. If you’re up before everyone else in the house, there’s a good possibility you will be able to get a few things accomplished before your “real” workday starts. People who wake up late tend to skip breakfast which is a bad idea since you need an energy boost after you wake up in order to be as efficient and active as possible during the entire day. When you don’t eat in the morning, chances are you are going to overeat when you decide to have a meal which could lead to weight gain. Waking up early helps your productivity since you are able to do more things without interruptions or distractions. After you had a good night’s sleep, your will be able to get things done better. Besides, if your day starts early, you’ll have enough time to prepare yourself for the day ahead. Consequently, you won’t be in a constant hurry and will think more positively which will reduce the stress in your life. Research has proven that early birds are more optimistic than the people who wake up later. Another advantage is that you’ll have enough time for exercise before work. Not only will you stay fit and healthy, but will have energy to deal with all daily tasks. A lot of early risers stress the importance of the quiet morning time – no one will bother you and you will be able to plan and organize your day without any disturbance. Getting up early will enable you to live a healthier life free of stress. Benjamin Franklin is quoted to have said: ‘Early to bed and early to rise makes and man healthy, wealthy and wise.’ You will undoubtedly improve the quality of your life if you begin waking up earlier. Exercising before your day starts, or at the end of the day helps you breathe better, focus on your tasks and improve your overall health. Because of the sedentary lifestyle most people lead, exercise is crucial for maintaining both our bodies and minds healthy. The advancement of technology enabled the modern person to perform countless tasks without ever having to get up. Although our lives are much easier than the lives of our ancestors, one of the major disadvantages nowadays is the lack of physical activity. To put it simply, our bodies need to be used in order to function properly. Firstly, regular exercise prevents health conditions and diseases such as heart diseases, stroke, type 2 diabetes, depression, certain types of cancer and arthritis. Furthermore, if we are physically active, we will have control over our weight. Exercise will prevent weight gain. Since obesity is one of America’s most serious health problems, there is no need to stress the importance of working out. Besides, if you go to the gym on a regular basis, you’ll look and feel better which will lead to higher self-esteem. Additionally, physical activity will improve your muscle strength and endurance. When your cardiovascular system functions more efficiently, you’ll have more energy. And when you have more energy, you’ll be able to perform better at work without feeling overwhelmed. Last but not least, working out will improve your mood. Whenever you have a bad day or need to wind down, start exercising and you’ll feel relaxed and happy. It may be hard to get into the habit of exercising every day, but your body will be thankful to you if you keep going – no matter how hard it may be in the beginning. Remember that a healthy mind needs a healthy body. Having a dedicated space to do your work instead of finding areas around the house can alleviate a lot of stress. A dedicated area will keep you work organized and in one place and you can personalize your area for optimal work results. When you work from your house, it can sometimes be very hard to focus on your job. Basically, there are so many things to distract you from your assignments. Since you live where you work, you might start postponing your obligations and end up working longer than you intended. Of course, if you spend the entire day in front of a computer, you’ll feel frustrated because you weren’t productive enough. Besides, instead of going out for a drink after work, you could remain sitting at your desk throughout the night because you didn’t effectively manage your time. No wonder you feel stressed! Oh, and another thing, if you don’t live alone, your family might steal your attention. So, instead of working, chances are you’ll find yourself sitting on the couch and watching TV when you should be finishing your daily tasks. If you want your business to be successful, you need to be organized – and not just when it comes to time. Separating your work space from the rest of the house will make your life a lot easier. Even if you don’t have a work room, you could purchase an office desk where you’ll keep all your work-related material. Regular office space will give you the impression you left home and need to work. It will help you remain focused and alert. Additionally, you won’t have to get up every five minutes to find something you need because everything will be right in front of you. Having scheduled office hours that you stick to can help alleviate stress. By having office hours, you can unplug from your workday and do business during business hours. In order to reduce stress, you need to have time to relax and rest from your work. It is essential that you separate your professional live from your private one. Even though you work from home, you shouldn’t always be available. It is a good idea to consider your job just like any other office job. When an employee leaves the office building, they are done for the day. Since our world functions in that way, it is perfectly fine that you want the same treatment other workers have. The key to a balanced life is good organization. First of all you need to set definite business hours. You have the possibility to adjust and can sometimes change your schedule, but it would be wiser to stick to your working hours. By following your own rules, you won’t procrastinate or spend too much time working. This will enable you to have a much-needed balance between your professional life and your free time. Besides, when your clients realize that you’re determined to follow your schedule, they won’t call you in the middle of the night and intrude on your personal time. When you have set business hours, you need to learn to manage your time efficiently. Keep track of previous assignments and current tasks – you have to be aware what needs to be done immediately and what can wait for a few days. When you feel you are in control of your job, you will reduce stress to a minimum. Of course, mistakes will happen and unplanned situations occur, but you also need to remember that you are only human and should always be kind to yourself. Prioritizing your work and doing it in blocks of time will help you look at each block as a new project instead of one overwhelming task that needs to be done. You need to prioritize your work if you want to be as efficient as possible. Namely, there is a difference between projects that or of the highest importance and the ones that aren’t as significant. Although you probably need to do both, the wisest thing is to start with the tasks on your A-list. Make sure to dedicate most of your time dealing with matters that will help you achieve success and earn money. You will always have more things that need to be done than time for actually performing the tasks. Instead of being frustrated and stressed, build a work strategy that will help you remain focused on the most meaningful assignments. Besides, after completing an extremely important project, you’ll feel much better about yourself and will have more confidence and self-esteem. Another smart move is to set goals – both short and long-term ones. Once you know what’s truly significant to you, you’ll know on what to concentrate. Schedule your time in order to achieve your goals and objectives. Sometimes you won’t feel like working, but when you’ve set goals and carefully organized your working days you’ll know why you need to continue with your projects. Additionally, focus on one project at a time. Once you complete one project, start thinking about the next one. Don’t put too much pressure on yourself as it will only decrease the quality of your work. In order to boost your productivity and reduce stress, use to-do lists. They will keep you organized and on track. And you’ll be able to see your progress on paper. Schedule some time or projects where you stand. If you have a phone conference, walk around the office while you’re talking – it will get your blood flowing and your wheels turning. Sitting for long periods of time increases the risk of diabetes and heart disease. Scientists have even pointed out that too much sitting can be lethal! Basically, people need to be physically active in order to stay healthy. And we live in a society where everything can be done with little or no movement. The changes in workplaces, transportation and communication have contributed to the reduction of physical activity and increase in health problems. 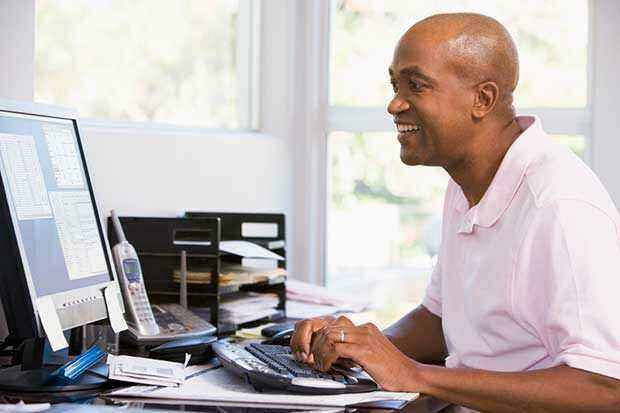 Since you work at home, there is a chance you’re less active than the average working person. You don’t have to commute to work or leave the office for a lunch break. Therefore, it’s crucial that you make some changes in your daily routine. Alternatives to office desks are standing desks and treadmill desks. A standing desk will keep you healthy while at the same time concentrated on your work. Of course, nothing is good if taken to the extreme. Combine sitting and standing and you’ll notice an improvement in productivity. Besides, take the opportunity to walk a bit every time you make a break. Walking will help you clear your head and enhance your concentration. Not to mention it will reduce the risk of various health issues such as obesity, diabetes and heart diseases. Even if you actively exercise before or after work, remember that hitting the gym won’t reverse the negative effects of too much sitting. It is crucial that you be as physically active as possible during the entire day if you want to remain healthy and fit. Music can get you through the day and soothe the soul. Music can create a very pleasant environment and alleviate the stress of the day. Research has shown that music helps us cope with pain and improves our mental and physical health in many ways. Listening to classical music can improve your sleep quality. This is especially important for people who work hard and have little time to rest. Music can also help us stay alert and focused on our work. One research has shown that listening to soft music during a meal helps people eat less which could help you lose weight or stay fit. Since music triggers biochemical stress reducers, if you spend some time listening to music, you’ll feel more relaxed. Besides, it can relieve depression. When you feel down or like you’re running on empty, make sure to play your favourite songs and you’re bound to feel better. Music will elevate your mood and you’ll have more energy to deal with stressful situations. And when you have a deadline or an important project ahead of you, music will help you perform your tasks better. ‘’We were able to document the neurochemical mechanisms by which music has an effect in four domains: management of mood, stress, immunity and as an aid to social bonding,” says Prof. Levitin. If you’re wondering which music to listen to in order to relax, scientists say it’s up to us and our personal preferences. Dr Victoria Williamson from Goldsmith’s College points out that there are some basic guidelines: ‘For a general rule, if you want to relax you should choose songs with slower tempo, less key changes and more predictable structure.’ Be aware that music can also invoke some unpleasant memories – choose songs that boost your mood and help you lighten up. Stepping outside to get fresh air or taking a walk around the block can work wonders for your mind and body and break up the monotony of the day. Since you’re bound to spend a lot of time indoors without the company of colleagues, you need to make an occasional break and wind down a bit. When you make a short break, you’ll clear your head and be ready to continue with your work. Additionally, it will boost your productivity and improve your efficiency. Just be careful not to make frequent breaks as you could easily fall in the habit of postponing assignments. The key to reducing stress is good organization. If you learn how to manage your time effectively, you’ll have enough time to finish your work, take care of your health and enjoy your personal life. Taking short walks will help you feel better and enhance your overall well-being. You’ll reduce the risk of various health issues and diseases. For instance, walking will help you ward off diabetes and heart disease. Besides, it will help you remain fit and in control of your weight. And because people who work from home tend to sit a lot during the day, physical activity will keep you healthy. Taking a brisk walk will boost your mood and lower your chances of becoming depressed. In addition, it will increase oxygen supply to your cells which will give you enough energy to stay fully alert and active during the day. Last but not least, walking in the sun will raise your vitamin D levels – vitamin D will enhance your immune system and protect you from various illnesses. No matter how hectic your day is, try to incorporate short walks into your daily routine and you’ll feel a positive change in your state of mind in no time. If you are working on a large assignment, send your phone calls to voicemail. If you have other distractions within the home, communicate to everyone that you are working and should not be disturbed. Wait to check e-mail and return messages during pre-set times instead of throughout the day. In order to complete your work in due time and achieve maximum productivity, it is advisable to set definite working hours. The key to success is god time management and organization. Besides defining business hours, set a work space. It will help you stay focused on your projects and tasks. It is advisable to completely separate your office from the rest of the house. If that’s not an option, organize your working materials in one place so you wouldn’t have to search for them while working on a project. In addition, you need to inform your friends and family that they can’t disturb you while working unless it’s something really important. Even though you are at home, they need to understand that your job is just like any other. A good idea would also be to purchase two separate phones or at least numbers. When you’re working, turn off your personal phone and when you call it a day, turn off your business one. If you don’t want clients to intrude on your free time, consider the idea of having two Skype accounts. When you make your business rules, make sure to follow them and you’ll reduce the amount of stress in your life. 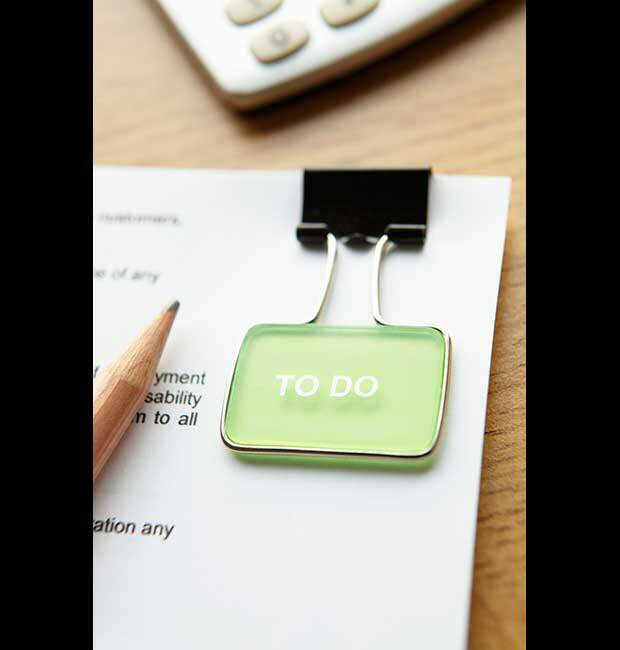 Although you may not be aware of it, even the smallest distractions could prolong your working day for hours. If you want to stay alert and focused on your work, it is essential that you cut down on interruptions and distractions at all cost. Wait to check e-mail and return messages during pre-set times instead of throughout the day. In order to complete your work in due time and achieve maximum productivity, it is advisable to set definite working hours. The key to success is god time management and organization. Besides defining business hours, set a work space. It will help you stay focused on your projects and tasks. It is advisable to completely separate your office from the rest of the house. If that’s not an option, organize your working materials in one place so you wouldn’t have to search for them while working on a project. In addition, you need to inform your friends and family that they can’t disturb you while working unless it’s something really important. Even though you are at home, they need to understand that your job is just like any other. A good idea would also be to purchase two separate phones or at least numbers. When you’re working, turn off your personal phone and when you call it a day, turn off your business one. If you don’t want clients to intrude on your free time, consider the idea of having two Skype accounts. When you make your business rules, make sure to follow them and you’ll reduce the amount of stress in your life. Hiring a virtual assistant or part-time office aide to help with the menial tasks will cut down on stress and allow you to focus on the large projects that need to be done. The benefits of a virtual assistant are numerous! Firstly, you can delegate all the boring and repetitive tasks so that you could have more time to focus on important matters and creative work. When you work from home, the job can sometimes be overwhelming. Instead of becoming discouraged and stressed, you should seriously consider all the advantages of hiring a virtual assistant. They don’t even have to be local. In fact, they could work from anywhere around the globe. In some cases, an assistant from another time zone could be more helpful than an assistant from your own town. For example, they could do all the boring paperwork after you have finished with your work. When you start work tomorrow, you will be more organized and ready to tackle every task in front of you. They could manage your calendar and set up meetings and appointments. 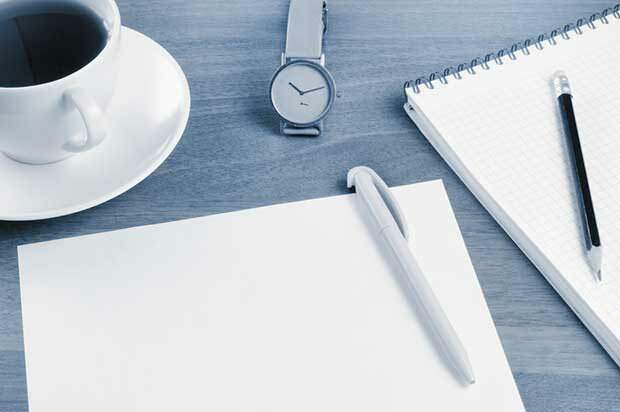 Since time management is so important for every successful business person, having someone to keep track of your professional and personal arrangements will save you a lot of time. 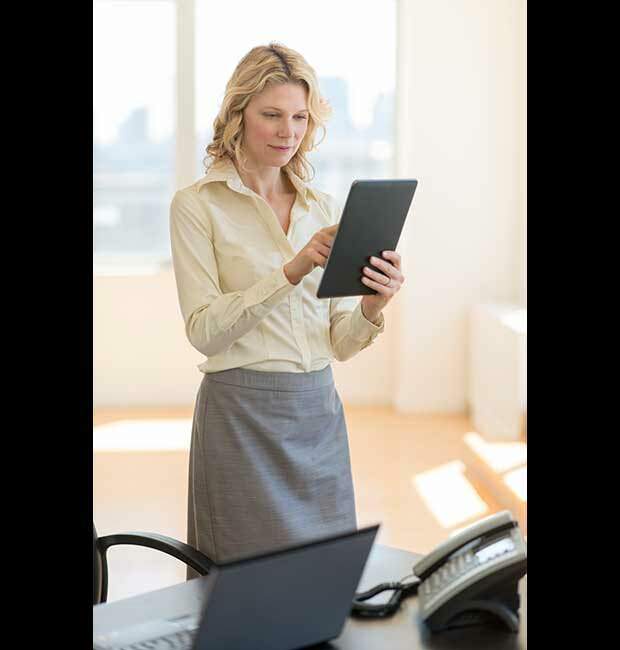 Additionally, a virtual assistant could handle your business communication. They could answer the less important emails, and forward the significant ones to you. A virtual assistant could also make calls on your behalf and reach out to other clients or companies. Basically, your virtual assistant will help you with anything that you either don’t have the time to do or simply find boring and time-consuming. They will do the stuff you don’t want to do, enabling you to be completely focused on the things that truly matter to you. Schedule time to take breaks. If you are in front of a computer all day, look away at least every 20 minutes to alleviate stress on your eyes. Even though you may not feel like taking a break, you need to have some time during your busy day to relax. When you work from home, you might want to finish your projects as soon as possible in order to have enough time to enjoy yourself after work. Of course, that’s fine sometimes, but you shouldn’t put that much pressure on yourself if you want to stay physically and mentally healthy. Make short breaks that will enable you to stay efficient and alert. If you have no time to rest, chances are you’ll become frustrated. Besides, you have to take pleasure in your work if you want to achieve success. Remember that even 5 minutes of meditation can significantly reduce stress. You could also learn and practise other relaxation techniques which will have a positive impact on your life even if you dedicate just a couple of minutes daily to them. Since you work from home and aren’t surrounded by colleagues, you are free to choose any technique that will help you wind down and recharge your batteries. You could even exercise while taking a break which will enable you to stay healthy and fit. If you’re experiencing back, neck or shoulder pain due to excessive sitting, getting up from your desk and working out will reduce the pain – not to mention the energy and productivity boost you’ll experience. Even a two minute break will do wonders for your overall well-being. Last but not least, have in mind that a break will be most effective when taken before you actually feel the need for one. Drinking water can prevent you from becoming dehydrated. When you are dehydrated, it adds stress to the body, which in turn creates stress in the way you handle your work. Also, the main cause of headaches is dehydration. So, if you’re experiencing them, make sure to drink enough fluids. When you’re running on empty and feeling stressed, you could fall in the trap of overeating. If you want to remain healthy and fit, you might want to try drinking more water. You’ll feel and look better both on the inside and out. Besides, water is completely free. Even if you don’t want to drink water from the tap, bottled water is still way cheaper than any other beverage you can think of. Since the cells in our brain are also part made of water, drinking plenty of fluids will enable our brain to receive enough oxygen in order to function efficiently. Basically, water will improve our cognitive functions, allowing us to work at our best. You will be more focused on any task you need to do and will be able to stay concentrated for longer periods of time. You’ll also notice an energy boost since water will maintain the right body temperature. Research has shown that drinking enough water prevents various health problems and diseases. There are numerous illnesses that you can avoid by drinking the recommended amount of water every day. For instance, your chances of getting respiratory disorders, rheumatism and kidney stones will be significantly reduced. Basically, water enhances your immune system. Moreover, if you’re thinking about losing weight, you should drink water as often as you can. Water is free from calories which makes it an ideal drink when you want to reduce weight. Scheduling meetings with clients outside of your home office will allow you to get out and enjoy the day. Having a change of scenery promotes productivity. Since you spend most of your days indoors, getting out in the sun will do wonders for your mood. You’ll experience a boost in energy, productivity and efficiency. All of this will help you perform better at work. In addition, you’ll feel better about yourself and will have more confidence. Apart from improving your mood, leaving the house for a meeting will benefit your physical health. When you work from home, it is inevitable that you sit in front of a computer of hours. Further, most people don’t engage in enough physical activity their bodies require in order to function properly. Getting out of the house will give you a chance to remain physically active. Namely, if possible, try to avoid going to a meeting by car or bus. If you walk on a regular basis, you’ll decrease the possibility of experiencing health problems. In addition, at-home workers spend a lot of time alone. Since you aren’t surrounded by colleagues, meeting clients and having lunch with them will have a positive impact on your state of mind. Enjoying the company of other people can significantly reduce the stress in your life. 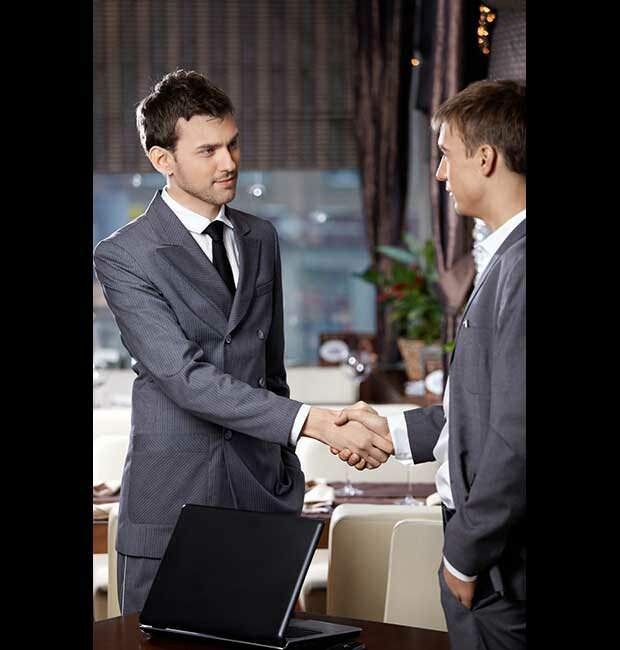 Both you and your client will feel more relaxed if you arrange a meeting at a casual place that is not work-related. 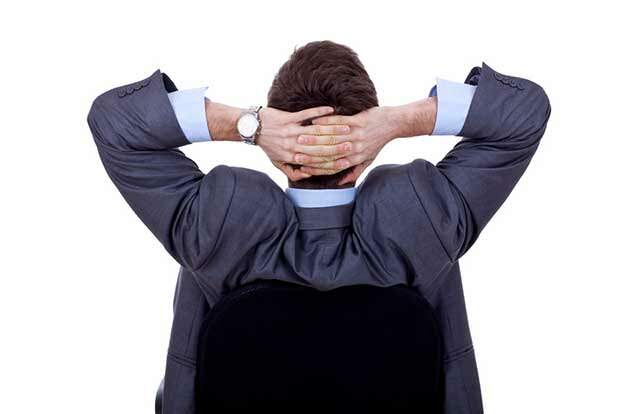 Leaving your office will enable you to take your mind off work, even for a couple of minutes. You’ll have enough time to wind down and mentally prepare yourself for the appointment if you schedule it outside your home. Last but not least, you won’t need to think about household chores and clean the house. You will always do a better job and alleviate stress when you are eating healthy and getting enough rest. Eating healthy will also increase your energy levels and help you become a better worker. Even when you don’t have time to prepare a healthy meal, try to avoid junk food. Apart from the possibility of gaining weight, junk food and unhealthy snacks could be detrimental to your health in the long run. When buying groceries, try to avoid purchasing unhealthy snacks in the first place. That way, when you feel a need to eat something during the day, you won’t have unhealthy foods in your kitchen. Doctors stress the importance of frequent, but small meals. Therefore, no matter how healthy a snack is, don’t excessively eat it. Eat when you’re hungry and stop when you’ve had enough. In order to prevent overeating, you should drink a glass of water before every meal. Eating healthy doesn’t require you to stop enjoying chocolate or other sweets. On the contrary, your body needs them too, in moderation. In addition, eating a variety of foods will help you get all the nutrients you need to function at your best. It’s important to understand that healthy eating isn’t a diet. Diets are temporary and can cause stress and frustration. 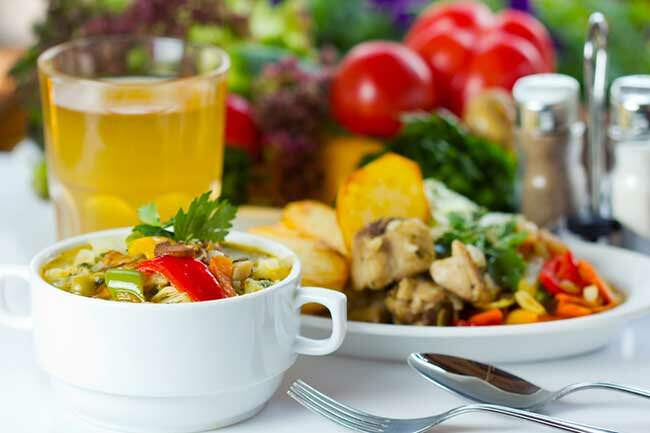 Eating healthy means that you’ve made some changes in your diet that you can and want to live with; when you’re satisfied with your diet, you’ll feel and look much better. Consequently, you’ll have more energy and confidence. And a good choice of foods will boost your mood and you’ll be happier. Once you’re happy with yourself, not only will your business blossom, but you will also reduce the stress in your life to a minimum.